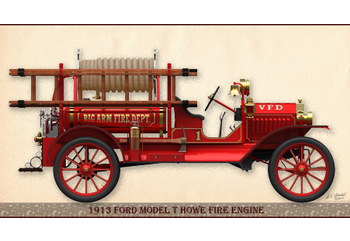 Fire Engines have always held a special place in American lore. And the men and women who risk their lives for us every day hold a very special place in our hearts. 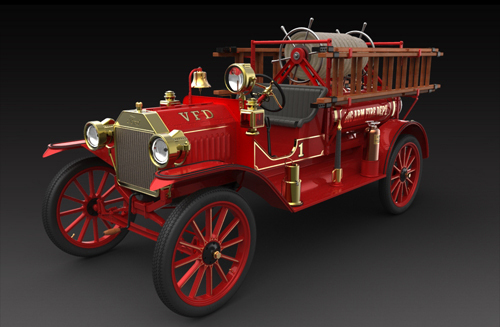 This little Fire Engine, based on the ubiquitous Ford Model T, is typical of many custom built commercial trucks handcrafted by craftsmen using the “Basic Model T” chassis. 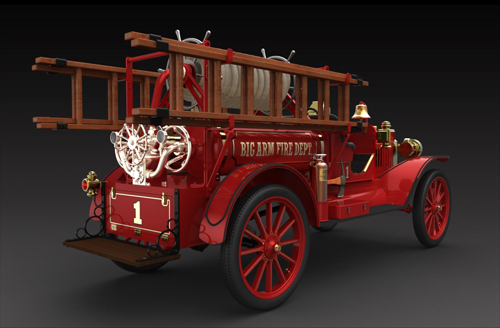 I have modeled it as a Chemical Tanker, used in support of larger fire apparatus and as a “Chief’s Car”. 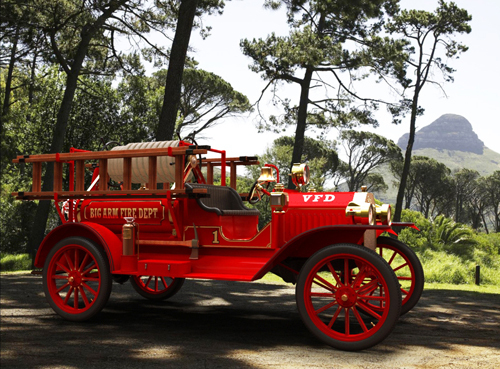 With only 22 or so horse-power, it’s likely that the firemen could outrun the Model T! 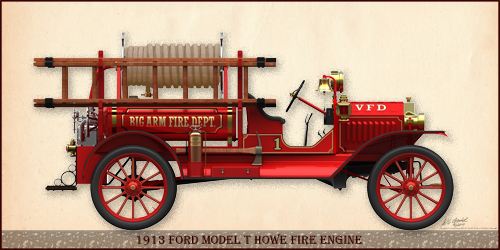 I chose to name it for Big Arm, Montana, the tiny town (population twelve) that I grew up in during the late 1940’s. 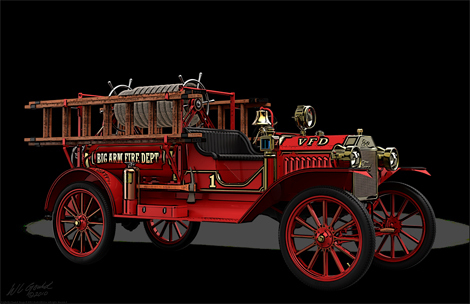 Of course, Big Arm did not have a fire department, but if so they would likely have had an engine like this in the early days. 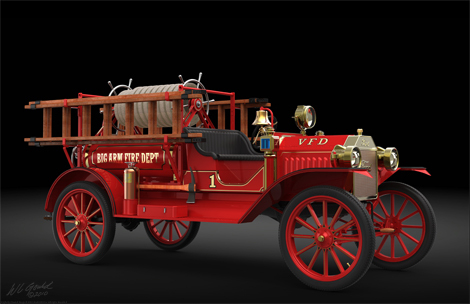 Fire Engines were always a source of great community pride, and usually “loaded to the hilt” with accessories, gilt paint and of course, the bell. All color prints are temporarily not available as we relocate our business. Blackline drawings will remain available.